Watch an introduction to Navigational Tiles & Platform Detectable Warnings. 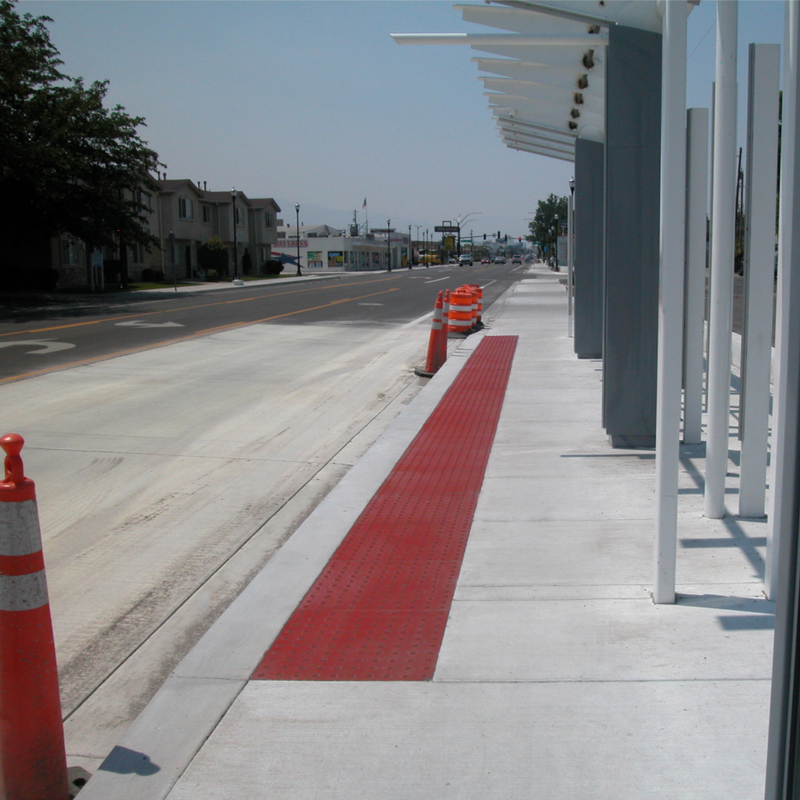 TekWay produces ADA compliant products with durability and longevity for the growing Mass Transit industry. 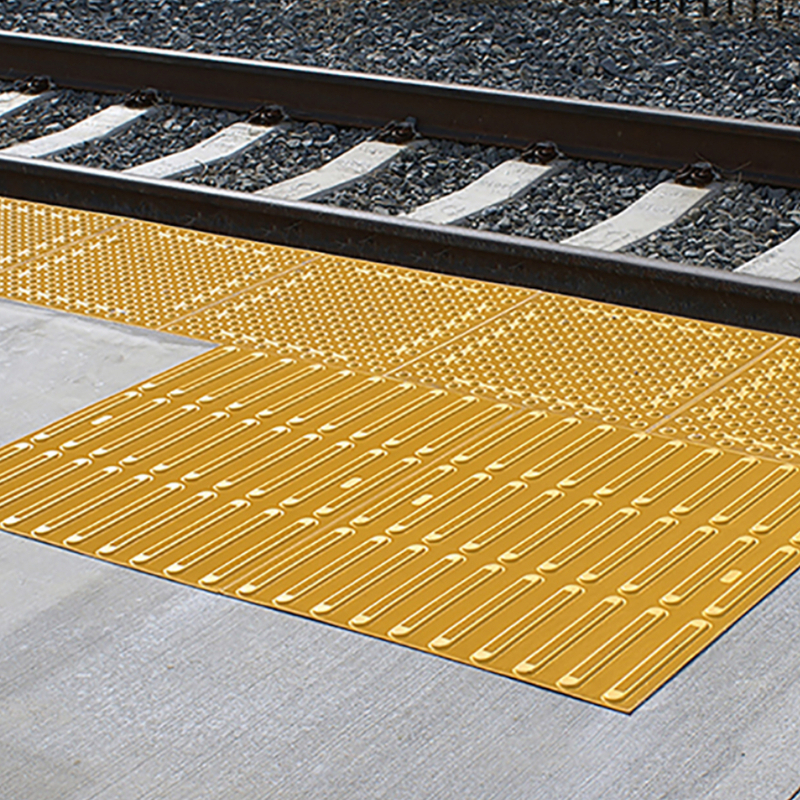 To address today’s demands as well as future Mass Transit projects, designers must select job specific Detectable Warning tiles that will withstand the continuous high volume of pedestrian traffic as well as mobility devices and other machinery at the platform edge. 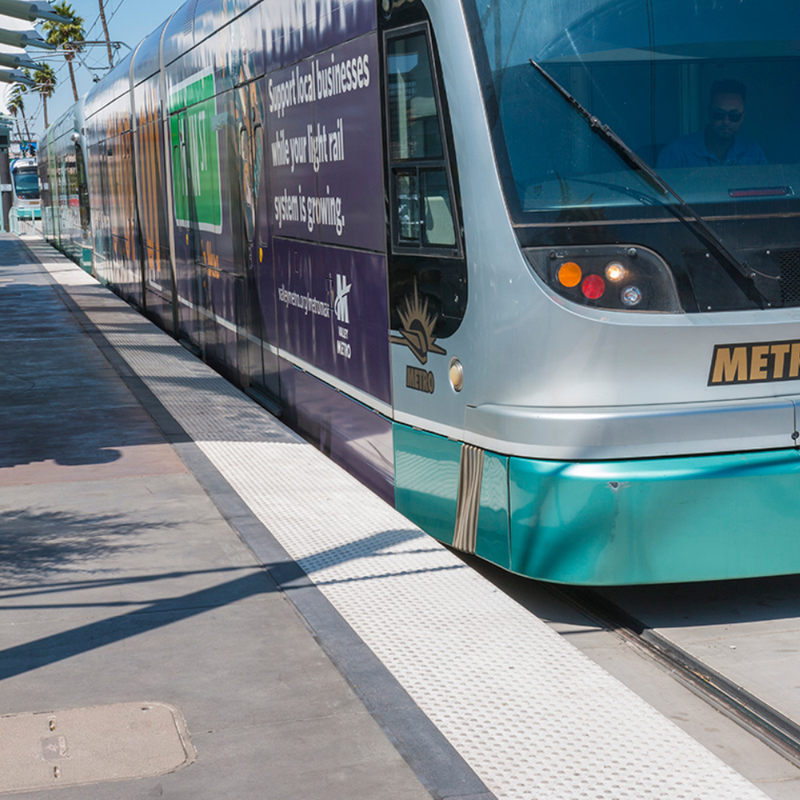 TekWay has a full line of detectable warning products for Mass Transit applications starting with domes, pre-warning tiles as well as directional and navigational bars. TekWay manufactures detectable warning domes for both platform edge and recessed designs. Both the straight edge tile and the popular bull-nose edge are available in staggered and in-line patterns. The bull-nose was designed for platform edge installations to minimize the impact of chipping and breakage caused by heavy wheeled carts and mobility devices. The bull-nose edge provides a smooth transition from the platform to the train. Straight edge tiles are commonly used at bus and streetcar stops where the tiles are installed in the sidewalk behind the curb line. 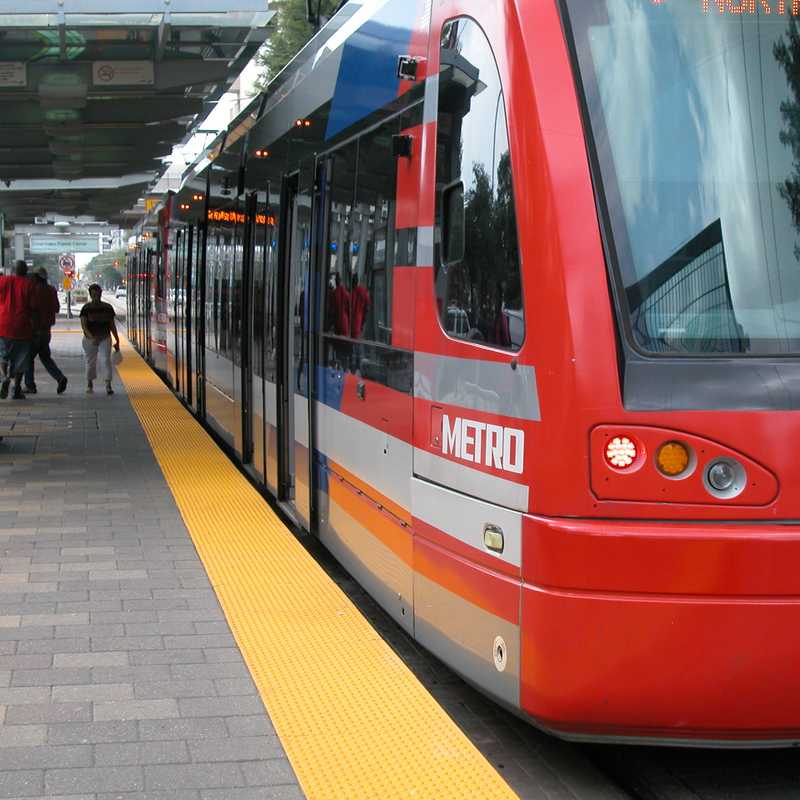 The tiles will extend to the length of the boarding area of the bus or streetcar. The Directional Tile surface consists of raised bars aligned in the direction of the path of travel which can assist in locating the entrance to light rails, trains, and bus stops. Directional tiles are required to meet the same standards as all detectable warning tiles. The purpose of this tile is to create a color contrast between the detectable warning tile and the surrounding platform surface. The pre-warning tiles are generally black in color, come in various dimensions and have the same slip resistance value as the tactile domes.